to read the interview. 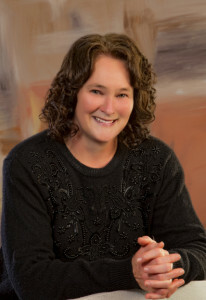 Lena Nelson Dooley’s blog and podcast reach approximately 65,000 people a month. Guest Speaker-Will be a guest speaker at St. Daniel’s Lutheran Church located at 480 Big Spring Road, Robesonia, PA 19551 on March 31, 2019 at 10:15 a.m. for the adult Bible Study group–theme- “Going from Victim to Victor. All are welcome–Sunday worship begins at 9:00 a.m. Book signing also–“The Shattering II” and “The Shattering”. My thanks to Terry Williams and Pastor George Detweiler for arranging this event. Guest Speaker-Will be a guest speaker at Lebanon County Correctional Institution on March 25, 2019. This is a closed event. Guest Speaker–Will be a guest speaker at Teen Challenge in Rehrersburg, PA, on February 27, 2019. This is a closed event. Guest Speaker-Will be a guest speaker at Lebanon County Correctional Institution on February 25, 2019. This is a closed event. Guest Speaker-Will be a guest speaker at Orlando Community Release Center on February 7, 2019 at 6:15. This is a closed event. Guest Speaker-Will be a guest speaker at Lebanon County Correctional Institution on January 7, 2019. This is a closed event. Guest Speaker-Will be a guest speaker at Lebanon County Correctional Institution on November 26, 2018. This is a closed event. Guest Speaker– Will be a guest speaker at “The Aloha House” located at 200 Ike Dr., Makawao, HI 96768 on October 17, 2018 from 9:00 a.m-11:30 a.m. This event is a closed event for clients and staff only. 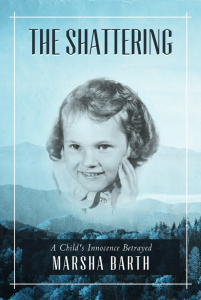 Book Signing and Event–Book Signing for “The Shattering II” will be held at Barnes and Noble on Saturday October 13, 2018 from 1:00 to 4:00 p.m. located at 270 Dairy Rd. Kahului, HI 96732 This event is open to the public. 15% of sales will be donated by Barnes and Noble to “The Aloha House” of Maui. Book Fair —The Shattering is happy to be a part of a promotion that will benefit “The Aloha House.” There will be a book fair sponsored by the Maui-HI- Barnes and Noble Bookstore from October 10, 2018-October 17, 2018. 15% of every sale from any customer using the ID 12442554, will be donated to “The Aloha House”. The Aloha House is a wonderful recovery center where men and women can get treatment for their addiction and have a safe place for recovery. Guest Speaker–Will be a guest speaker at the Maui Community Correction Center on Monday, October 8, 2018. This is a closed event for inmates and staff only. Guest Speaker–Will be a guest speaker at the Maui Community Correction Center on Friday, October 5, 2018. This is a closed event for inmates and staff only. Guest Speaker–Will be a guest speaker for the University of Hawai and MCAPP (Molokai Child Abuse Prevention Pathways) on the island of Molokai. Event is open to the public. Sponsored by MCAPP and University of Hawaii. Event will be on October 4, 2018 from 10:30 a.m to 12:00 p.m. at the University of Hawaii, 375 Kamehameha V Hwy, Kaunakakai, HI 96748 on the island of Molokai. Guest Speaker–Will be a guest speaker at The Malama Family Recovery Center located at 388 Ano St, Kahului, Maui HI 96732 on October 3, 2018 from 10:00 a.m -12:00 p.m. This is a closed event for clients only. The Malama Family Recovery is a recovery center for addiction that focuses on aiding women with families to get the treatment they need for recovery while offering a safe place for her and her children. Guest Speaker and Book Signing–Join us on September 8, 2018, at Faith Fellowship Church, 721 East Penn Ave., Cleona, PA from 9:00 a.m to 2:00 p.m for this day retreat. “The Proverbs 31 Woman”. Guest Speakers: Marsha Barth, Rosemary Alvarez, Theresa Johnson and Toni Stewart. All welcome. Books available: “The Shattering” and “The Shattering II” by Marsha Barth. Guest Speaker-Will be a guest speaker at Lebanon County Correctional Institution on August 27, 2018. This is a closed event. Guest Speaker-Will be a guest speaker at Lebanon County Correctional Institution on July 23, 2018. This is a closed event. Guest Speaker-Will be a guest speaker at Lebanon County Correctional Institution on June 25, 2018. This is a closed event. Guest Speaker-Will be a guest speaker at Virginia Beach Correctional Facility on June 21, 2018. This is a closed event. Guest Speaker-Will be a guest speaker at Lebanon County Correctional Institution on May 28, 2018. This is a closed event. Guest Speaker-Will be a guest speaker at Lebanon County Correctional Institution on April 23, 2018. This is a closed event. Interview on WMAP Radio-live April 20, 2018 at 3:00 p.m EST. Guest Speaker-Will be a guest speaker at Lebanon County Correctional Institution on March 26, 2018. This is a closed event. Guest Speaker-Will be a guest speaker at Lebanon County Correctional Institution on February 26, 2018. This is a closed event. Guest Speaker-Will be a guest speaker at Lebanon County Correctional Institution on January 22, 2018. This is a closed event. Guest Speaker-Will be a guest speaker at Lebanon County Correctional Institution on October 23, 2017. This is a closed event. Guest Speaker-Will be a guest speaker at the University of Hawaii located on 310 W Kaahumanu Ave, Kahului, HI 96732 at 5:30-7:00 p.m on October 18, 2017. The topic will be “Domestic Violence’s Impact on the Child.” All welcome. Book Signing and Book Fair-Book Signing for both books, “The Shattering” and “The Shattering II” on October 14, 2017 at the Barnes and Noble Book Store, located in Lahaina, Maui, HI, at 2:00 p.m. to 7:00 p.m. All are welcome. Book Fair for this event extends from October 14-October 21, 2017, where Barnes and Noble will be donating 15% of every sale using the code 12234928 to go to benefit The Malama Family Recovery Center. Guest Speaker-Will be a guest speaker at The Malama Family Recovery Center on October 13, 2017 at 10:00 a.m., in Maui, HI. This is a closed event. Guest Speaker- Will be a guest speaker at the Maui County Correctional Center on October 5, 2017 at 8:00 a.m. This is a closed event. Guest Speaker- Will be a guest speaker at the Maui County Correctional Center on October 4, 2017 at 8:00 a.m. This is a closed event. Guest Speaker-Will be a guest speaker at The Aloha House in Maui, HI on September 29 at 1:00, 2017. This is a closed event. Guest Speaker-Retreat -“Dealing with Conflict God’s Way.” September 8-10 at Kenbrook Christian Retreat Mountain View Lodge, 190 Pine Meadow Rd, Lebanon, PA 17046. For more information contact Theresa Johnson at 1-717-813-9546 or Marsha Barth on this website. Book Signing—“The Shattering” and “The Shattering II”. Guest Speaker-Will be a guest speaker at Lebanon County Correctional Institution on August 28, 2017. This is a closed event. Book Signing– to be held at Truth That Rocks Bookstore located at 1100 New Road, Northfield, NJ 08225 on Saturday July 22, 2017 from 12:00 p.m. to 2:00 p.m. Will be selling both “The Shattering”; “The Shattering II” and “Tranquil Moments”. All are welcome. Atlantic City Press will be visiting to do a story. Interview–Will interview live on 90.5 WXGN, 101.1 WXRM, and 107.7 WRWL “Truth That Rocks” radio on July 22, 2017 at 10:30 a.m. with the new book, “The Shattering II– ‘Breaking the Silence'”. Guest Speaker-Will be a guest speaker at Lebanon County Correctional Institution on May 22, 2017. This is a closed event. Book Signing–at Flying Free Event–sponsored by Overcoming Powerlessness at Heritage Hills Golf Resort, Terrace Center, 2700 Mt. Rose Ave., York, PA on Saturday May 20, 2017. 11:00a.m.-3:00p.m. Guest Speaker-Will be a guest speaker for Luzerne County Child Advocacy Center at their annual gala on Saturday, April 29th at Mohegan Sun Pocono 6pm to 11pm in Wilkes-Barre, PA. Open to the public. For more information and to purchase tickets please visit http://www.luzernecountycac.org or call 570-208-2895. Guest Speaker-Will be a guest speaker at Lebanon County Correctional Institution on April 24, 2017. This is a closed event. Guest Speaker-Will be a guest speaker at the Capitol Building in the Rotunda on April 3, 2017, in the Rotunda located at 501 N 3rd St, Harrisburg, PA 17120. This is sponsored by CVAP (Crime Victims Alliance of PA) for Crime Victims Awareness Week. Guest Speaker-Will be a guest speaker at Luzerne County Child Advocacy Center to be held on March 31, 2017, at 11:00 a.m at the Luzerne County Courthouse in the Rotunda located at 200 N River Street, Wilkes-Barre, PA 18711 Kick-off for April’s National Child Abuse Prevention Month. All are welcome to attend this free event. Book’s available. Book signing-The Shattering and The Shattering II–Marsha Barth–Author, Advocate, and Speaker. Guest Speaker-Will be a guest speaker at Lebanon County Correctional Institution on March 27, 2017. This is a closed event. Guest Speaker-Seminar -“Dealing with Conflict God’s Way.” March 25, 9:00 a.m. to 3:00 p.m. at 721 East Penn Avenue in Cleona, PA. For more information contact 1-717-813-9546 or Marsha Barth on this website. Guest Speaker–Will be a guest speaker at Lebanon County Correctional Institution on February 27, 2017. This is a closed event. Guest Speaker–Will be a guest speaker at Orlando Community Release Center on February 2, 2017. This is a closed event. Guest Speaker–Will be a guest speaker at Lebanon County Correctional Institution on January 23, 2017. This is a closed event. Interviewed- Tuesday, January 17, 2017 with Paul Johnson on The God Zone Show. Will post link at a later date. Interviewed- Tuesday, January 10, 2017 with Donna Ghanney on KEITV 12-Kingdom-Hour. Will post link at a later date. Guest Speaker–Will be a guest speaker at Lebanon County Correctional Institution on November 28, 2016. This is a closed event. Guest Speaker–Will be a guest speaker at Lebanon County Correctional Institution on October 24,2016. This is a closed event. Guest Speaker–Will be a guest speaker at Providence Presbyterian Church, 1215 Church Road, York Pa. Visit https://www.eventbrite.com/e/voices-moving-from-victim-to-survivor-tickets-25389924949?aff=efbneb for more information… Friday October 28, 2016 and Saturday October 29, 2016. Guest Speaker–Will be a guest speaker for Family Recovery on October 19, 2016 in Maui, HI. This is a closed event. Guest Speaker–Will be a guest speaker with Andy Tong for a support group for sexual offenders. October 4, 2016 in Maui, HI. This is a closed event. Guest Speaker–Will be a guest speaker at King’s Cathedral at 6:30p.m. on October 3, 2016, for the “Transformation Group”, in Maui, HI. All welcome. Guest Speaker–Will be a guest speaker at Maui Community Correctional Center to the women and the men on October 3, 2016. This is a closed event. Guest Speaker–Will be a guest speaker at Aloha House on September 29, 2016, in Maui, HI. This is a closed event. Guest Speaker/Book Signing–Weekend retreat on September 2 thru September 4, 2016. ” We Are More than Conquerors” at Kenbrook Christian Retreat. Contact for more information. All welcome. Guest Speaker–Will be a guest speaker at Lebanon County Correctional Institution on August 22, 2016. This is a closed event. Guest Speaker–Will be a guest speaker at Virginia Beach Correctional Facility on August 17, 2016. This is a closed event. Guest Speaker–Will be a guest speaker at Camp Conquest on August 2-4, 2016. Guest Speaker–Will be a guest speaker at Lebanon County Correctional Institution on July 25, 2016. This is a closed event. Interview- Thursday, July 14, 2016 with Tony Gambone on “Tough Talk Christian Radio” at 10:30 EST Will post link at a later date. Guest Speaker–Will be a guest speaker at Lebanon County Correctional Institution on June 27, 2016. This is a closed event. Guest Speaker/Book Signing–June 12, 2016, 9:00 a.m at St. Daniel’s Lutheran Church, 480 Big Spring Road, Robesonia, PA 19551. 610-693-5145 All welcome. Guest Speaker/Book Signing–June 11, 2016, 10:00-11:30 at Womelsdorf Library, 203 W. High St., Womelsdorf, PA 19567 610-589-1424. All welcome-refreshments. Guest Speaker–Will be a guest speaker at Lebanon County Correctional Institution on May 23, 2016. This is a closed event. Guest Speaker–Will be a guest speaker at Lebanon County Correctional Institution on April 25, 2016. This is a closed event. Guest Speaker–Will be a guest speaker at Coal Township State Correctional Institute on April 13, 2016. This is a closed event. Guest Speaker–Will be a guest speaker at Lebanon County Correctional Institution on March 28, 2016. This is a closed event. Guest Speaker–Will be a guest speaker at Lebanon County Correctional Institution on February 22, 2016. This is a closed event. Guest Speaker–Will be a guest speaker at The Orlando Community Release Center on January 28, 2016. This is a closed event. Guest Speaker–Will be a guest speaker at Lebanon County Correctional Institution on January 4, 2016. This is a closed event. Interview–Will interview with on Thursday (tomorrow) 11/19/2015, at 1:00 Eastern Time. You can heal! This interview will be international and will reach a lot of people in the Caribbean and Barbados area. Guest Speaker–Will be a guest speaker at Lebanon County Correctional Institution on October 26, 2015. This is a closed event. Book Signing–Will have a book signing at Barnes and Noble 325 Keawe St, Lahaina, HI 96761 Phone:(808) 662-1300 on Saturday October 3, 2015 at 5:00 p.m. to 8:00 p.m. A warm welcome to any of my friends in Maui during that time to join me. Will interview live on Joy Broadasting, WXGN 90.5 FM- on Monday Sept. 7, at 3:00 p.m. Located in Ocean City, NJ. “Who shall separate us from the Love of Christ? Shall tribulation, or distress, or persecution, or famine, or nakedness, or peril, or sword?…Nay, in all these things we are MORE than CONQUERORS through HIM that loved us.” Rom. 8:35,37. Guest Speaker–Will be a guest speaker at Lebanon County Correctional Institution on August 24, 2015. This is a closed event. Will be a guest speaker at–Virginia Beach Correctional Facility on August 17 and 18, 2015. Will interview with host, Lana Reid, on her radio show “Don’t Box Me In” on August 12, 2015 at 11:00 a.m PST. Will post link at a later date. Guest Speaker–Will be a guest speaker at Lebanon County Correctional Institution on July 24, 2015. This is a closed event. Interviewed with Rebecca L. Mahan of V.O.T.E. (Victims Overcoming Traumatic Events)– on Thursday, July 2, 2015. Will post link for this interview at a later date. Guest Speaker–Will be a guest speaker at Lebanon County Correctional Institution on June 29, 2015. This is a closed event. Book Signing–Barnes and Noble– on Friday, June 19, 2015 at 6:00-8:00 p.m. All Welcome! Interviewed with David Yarde on Tuesday, May 26 for his show–“Create More Good.” Interview will air on June 22, 2015. Will post link to this interview then. Guest Speaker–Will be a guest speaker at Lebanon County Correctional Institution on May 25, 2015. This is a closed event. Guest Speaker–Will be a guest speaker at Lebanon County Correctional Institution on April 27, 2015. This is a closed event. “Good Day PA” airs live from 12:30 p.m.-1:00 p.m on ABC channel 27. Live Interview–Marsha Barth, author of “The Shattering”will be a guest speaker on TV’s ABC’s “WHTM Good Day PA”, on Friday, April 17, 2015. “Good Day PA” airs live from 12:30 p.m.-1:00 p.m on ABC channel 27. Guest Speaker–Will be a guest speaker at Lebanon County Correctional Institution on March 30, 2015. This is a closed event. Guest Speaker–March 9, 11:00-11:50, “Davis and Elkins College, Elkins, WV. Speaking to Criminology and Psychology Department students. This is a closed forum. Guest Speaker– at the Orlando Community Release Center, in Orlando, Florida on Thursday, February 5, 2015 at 7:00 p.m.
Live radio interview– with Derek Triplett on his show “Making Changes” on station WOKB in Orlando, Florida. Join us live on Thursday, February 5, 2015, at 12:30 p.m.
Live Interview– with Dr. Alan Simberg on Tuesday, January 20, 2015 at 3:30 CST on Tough Talk Radio Network. Join us live. Will post link at a later date. New Interview–Guest on Alfredo Love’s Show December 20. Pre-recorded, will post when link is available. Broadcast will be posted at a later date. Book Signing to be held at “The Midtown Scholar Bookstore” located at 1302 N. 3rd Street in Harrisburg, PA 17102 on November 22, 2014 between the hours of 2:00 p.m. to 4:00 p.m. Marsha will be signing copies of The Shattering, the inspiring true story of a girl who overcame the horrors of sexual abuse. Marsha speaks out to show others the path to overcoming the wounds of the past and achieving healing and happiness. Marsha Barth will be a guest speaker at the Maui Correctional Center on October 16, at 8:30 a.m. to 9:45 a.m. This is a closed event. Marsha Barth will be a guest speaker at Allegheny Evangelical Lutheran Church 1327 Alleghenyville Road Mohtnon, PA on September 21, 2014 @ 9:15-10:15 a.m. All are welcome. Book signing to follow. Marsha Barth will have a book signing and be a Guest Speaker @ Faith Fellowship Women’s Retreat 2014 @ Kenbrook Christian Retreat Mountain View Lodge Lebanon, PA on September 5-6, 2014. Contact for more info on this web-site. Saturday April 26, 2014 9:00a.m.–3:00p.m. March 15, 2014 Saturday 3:00 p.m.-5:00 p.m.
October 11, 2013 at 6:30-8:00 P.M.
November 1, 2013 at 5:30-9:30 P.M.
November 8, 2013 at 5:30-9:30 P.M.
November 15, 2013 at 5:30-9:30 P.M.